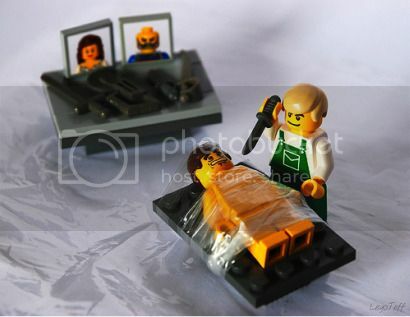 Amazing how few pieces of LEGO it took for the artist to create the iconic look of a scene from Dexter. Although I’m pretty sure Dexter doesn’t count a pirate’s sword among his cutlery. Whoa… dexter is a bit too sick for my liking but I’ve seen some great stuff made from lego, love all the independent Star Wars stuff.